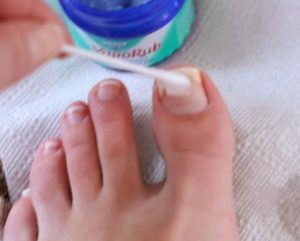 Nail fungus is certainly a hideous thing, it can not only leave you unable to wear those sandals you love so much but you might also experience inflammation, pain, and swelling of the toe, as well as yellowing, thickening, and crumbling of the nail itself. Toenail fungus, also called onychomycosis can happen to you for having an abnormal pH of the skin, a compromised immune system, poor foot hygiene, or weak circulation such as that caused by diabetes. You could visit your dermatologist or, follow the simple and natural remedies we bring for you below! 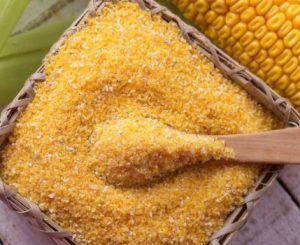 -Add one part cornmeal to two parts warm water in a foot bath. -Soak your feet for about half hour. -Repeat every other day for one month. 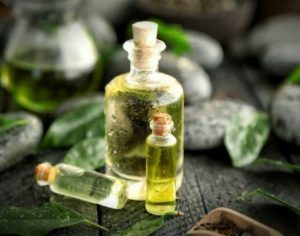 -To use, paint the tea tree oil directly onto the affected nail twice daily with a cotton swab. -Mix one part ACV and one part Epsom salts with six parts hot water. -Let the water cool so that it is still warm to the touch, but not so hot as to be damaging to your skin. -Soak feet up to twice daily for at least thirty minutes to kill fungus. 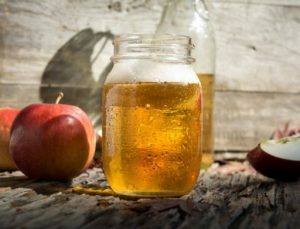 -Mix two tablespoons of organic apple cider vinegar with eight ounces of warm water and add a teaspoon of honey to sweeten the beverage. 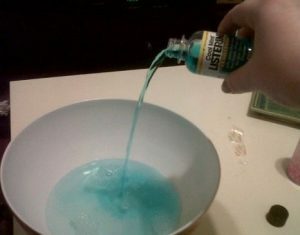 -Soak the affected foot in a basin of amber-colored Listerine for 30 minutes daily. -Apply a small amount of Vicks VapoRub to the affected area at least once a day. -Place chopped or crushed garlic cloves on the affected area for 30 minutes daily. 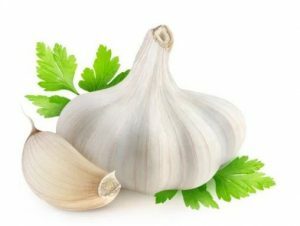 -A less smelly solution would be taking garlic capsules. 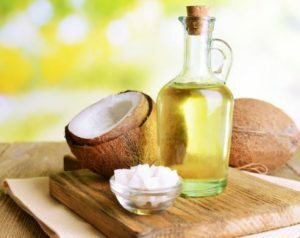 – Simply apply a thin layer of coconut oil to infected areas and allow it to soak in for at least 15 minutes.